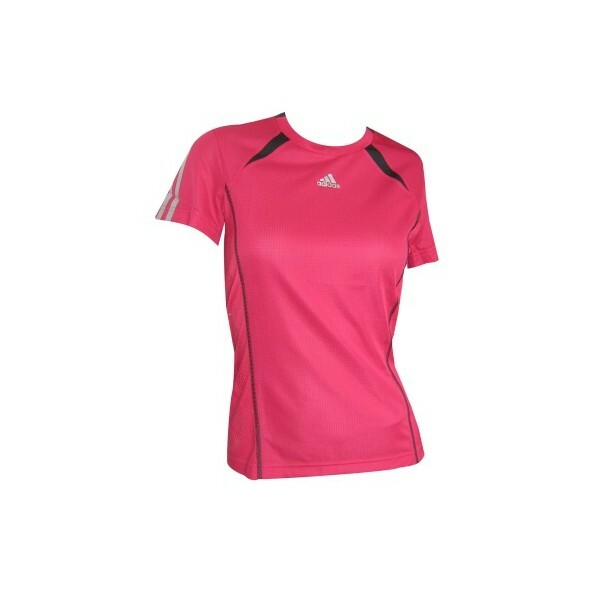 The Adidas adiSTAR short-sleeved Tee is a comfy and highly functional ladies running shirt. Unique technologies make it the ideal training aid. ClimaCool provides ventilation and moisture transport and as a result optimum comfort and outstanding performance. ForMotion provides the active athlete with perfectly fitting and comfortable clothes as well as absolute mobility. The adiSTAR short-sleeved Tee Women's fabric contains X-STATIC, the revolutionary fibre system made of pure silver which conducts heat away from the body. 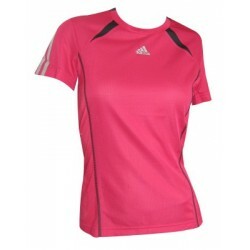 The running shirt from the Adidas adiSTAR collection was developed to provide female athletes with performance, optimum wearing comfort and style in any situation, be it training or competition. Athletes have been able to count on Adidas to meet they are training needs for decades.